Mr. Christian Astorino has been a project engineer with Amphion Analytical Engineering, P.A. since 2009. He has experience in Mechanical Integrity, Strain Gaging Services, Load Rating, Spill Prevention and Countermeasure, and Process Safety Management since 2007. 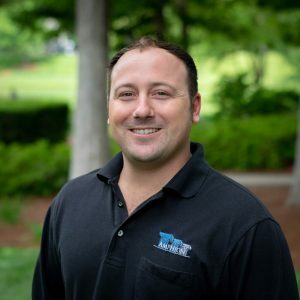 Mr. Astorino has extensive experience in managing and performing mechanical integrity inspections on process and power piping, storage tanks, process vessels, pressure vessels, and boilers at a variety of facilities. For over a decade, he has been providing these services to a wide range of industries including, but not limited to, the tire and rubber industry, various chemical production industries, the paper industry, and the food processing industry. Mr. Astorino is skilled in performing field inspections, fitness-for-services evaluations, and engineering analyses which conform to diverse guidelines, such as the American Petroleum Institute (API), American Society of Mechanical Engineers (ASME) Boiler and Pressure Vessel Code, and The National Board Inspection Code (NBIC). He regularly provides in-depth analyses, including minimum required thickness calculations, maximum allowable working pressure calculations, corrosion rate and allowance calculations, next inspection calculations, and expected life calculations. Mr. Astorino is an API 510, 570, and 653 Certified Inspector. He is also certified as an ASNT Level II Technician in magnetic particle testing (MT), liquid penetration testing (PT), and ultrasonic thickness testing (UT) methods.